only my stomach were a little larger. Because if it were, I would have tried to eat this entire skillet. All by myself. This is a phenomenal combination of sweetness, heartiness and warmth. It’s a great, simple meal that will warm your tummy on these FRIGID COLD DAYS. To a large skillet with tight fitting lid, add the olive oil and saute the sweet potato cubes for 5 to 7 minutes, adding water if needed to help them ‘steam’ and from sticking to the bottom. Stir often. Stir in the diced green and red bell peppers, minced onion, garlic powder, ground ginger and salt and pepper. Saute for another 5 minutes, or until peppers have softened. Add in the chicken sausage slices and stir into the veggies. 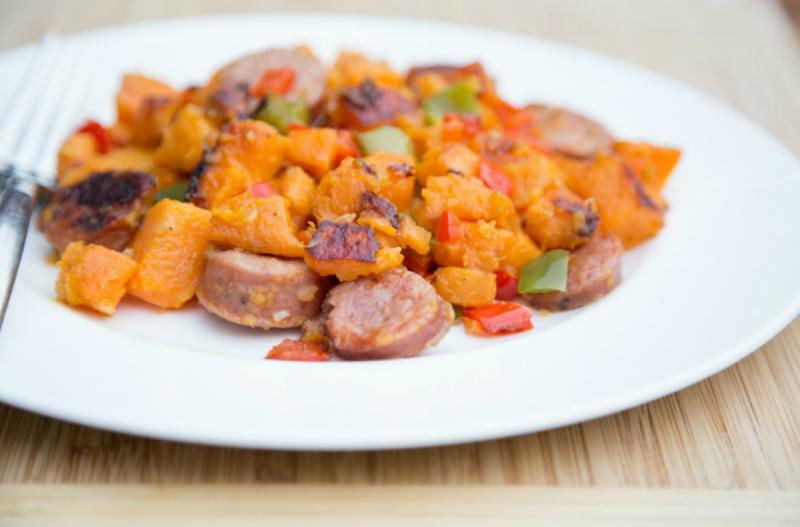 Saute together for a few minutes, or until the sweet potatoes are all completely tender and chicken sausage is warmed. 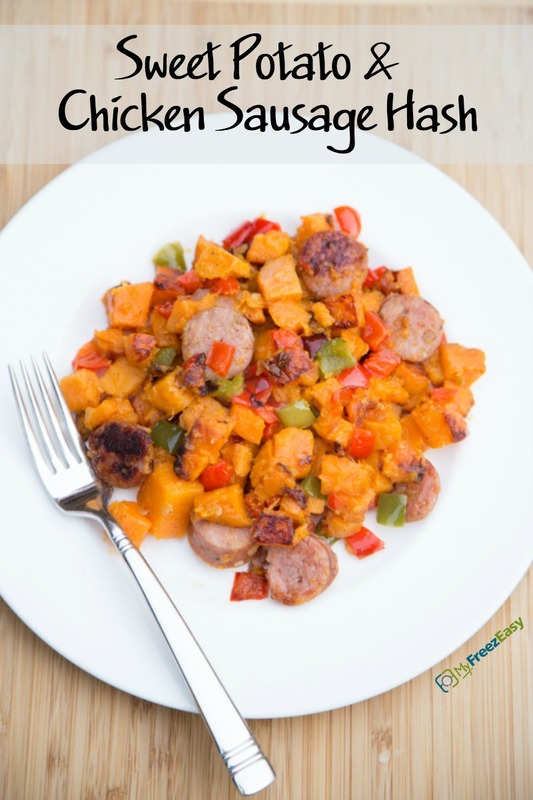 Serve Sweet Potato & Chicken Sausage Skillet Dinner. Slice the 10 chicken sausage links. Dice the 2 red and 2 green bell peppers. Peel 4 large sweet potatoes and cut into 1-inch cubes. Add the contents of the freezer baggie to the skillet with about ¾ cup warm water. Bring to bubbling over medium high heat and then reduce to low and simmer for 20 minutes or until sweet potatoes are tender and sausage is warmed. Add the contents of the freezer baggie to the skillet with about ¾ cup warm water. Bring to bubbling over medium high heat and then reduce to low, cover and simmer for 20 minutes or until sweet potatoes are tender.